Forget Frazier vs. Ali. Forget Tesla vs. Edison. Forget Godzilla vs. The Cosmic Monster. This is the real battle, a struggle of man fighting man for dominance over a future of flavor and culinary mastery. 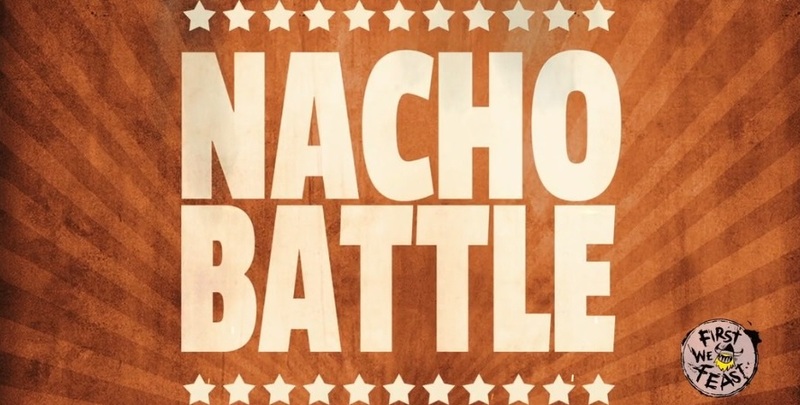 Allow us to present, First We Feast presents; The Bitchin’ in the Kitchen, Revenge is a Dish Best Served via Combat, The Hunger Games, The Second Annual First We Feast Nacho Battle!